“I wasn’t speaking to you, Mr. President” Moyers responded. I don’t know how anybody feels about my prayers. Whether they’re too long, or too short, too wordy, or too simple. The truth of the matter is that I don’t really care what anybody thinks. I care what God thinks. Prayer for me, is something that is kind of between God and I. I feel a little bashful – I almost feel exposed – when I pray on Sunday mornings. But prayer is an important part of every gathering of believers, so that is why I continue to do it. That’s the way to pray. God doesn’t need big words and long prayers. 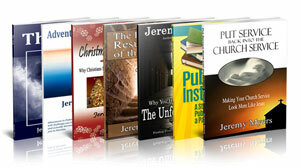 (Have you noticed that nearly all the prayers recorded in Scripture are simple and short?) He just wants us to come to Him and like a child to his father, talk to Him. That’s the way all the saints in the Bible prayed. It’s the way Jesus prayed. It’s the way Paul prayed. It’s the way Paul prayed in Ephesians 3. This prayer of his was started in 3:1, but Paul got off on a tangent for the next 12 verses. Now, beginning with verse 14, Paul picks back up with his prayer. It is found in Ephesians 3:14-21. This is Paul’s second prayer in Ephesians. The first was found at the end of chapter 1. Both are prayers for God to do in the lives of the Ephesians exactly what Paul was telling them to do. I don’t have a problem with that too much, except that it doesn’t carry the force of what Paul was alluding to here. It is interesting that Paul uses this phrase though, because Jewish prayers were usually offered standing up. So why does Paul pray kneeling? I believe there are two reasons. The first is that this phrase, “bow the knees” comes from Isaiah 45:23. You might not have known it, but we sing this verse when we sing the song “He is Lord.” Isaiah 45 is a prophecy about the rule and reign of Christ. It is about how He alone will deliver Israel, and bring all her enemies to destruction. It is a lesson to the world in how He alone is God. And then we come to Ephesians 3:23, and it says, “Before me every knee will bow, every tongue confess” (cf. also Rom. 11:4; Php. 2:10). Isaiah is saying, “Look. He is our Deliverer. He is our Provider. He defeats our enemies. Let’s bow down and praise him. Let’s bow down and worship him. This is the correct posture of the heart when coming before God.” And that is what Paul is saying too when he uses this phrase here. The second reason why Paul kneels is more interesting. Typically, Jewish prayers were offered standing up. The only time Jews knelt was when they were in the presence of their King. Greeks did the same (Lk. 18:11-13). So Paul’s kneeling here is a sign that He sees God as His King, His Sovereign. This idea is bit foreign to our American society. We don’t understand this because our nation was founded on the idea that “all men are created equal” so we don’t have to kneel or bow our heads to anyone. I’m not saying this isn’t right. I think that before God, we are all equal. But in Paul’s day, and even still in many countries, if royalty drew near, you were on your knees, with your head bowed. You didn’t speak unless spoken to. Your life was in their hands simply because they were sovereign. 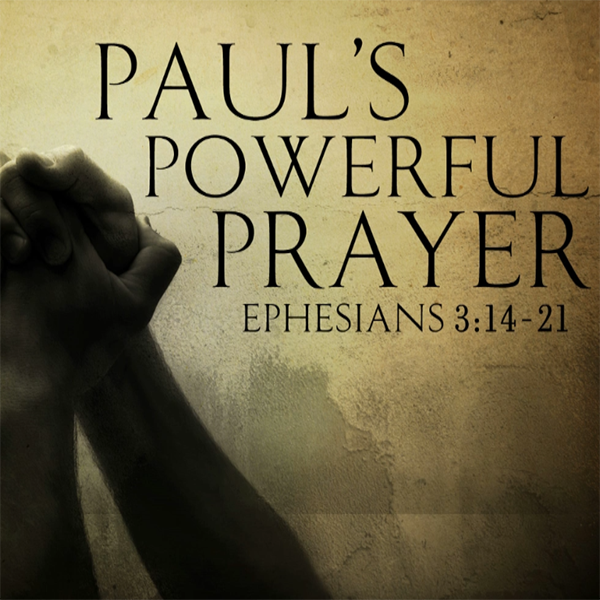 That is the attitude Paul has here in Ephesians 3:14, and the attitude we should have when we come to God in prayer. We can only pray to Him because He has first spoken to us in His Word, through Jesus Christ and though the Holy Spirit. We can only speak to Him because He has invited us to. Yet still, when we do, we need to come before Him with a sense of reverence and respect. All men may be created equal, but we are in no way equal with God. When we come to God our Father in prayer, yes, we must come to him in reverence and respect as our King and Ruler. But we can also come to him as our Daddy, Abba, Father. When many fathers today are failing their children, God our Father will never let us down. He is King, but He is also Father. Paul kneels when he prays to Father. I am not saying this is the pasture we must be in to pray. You don’t have to be kneeling to pray. Part of the wonder of prayer is that you can come to God in prayer anywhere, anytime, in any posture. There is no command in Scripture to physically kneel when you pray, but it should be the posture of our hearts. 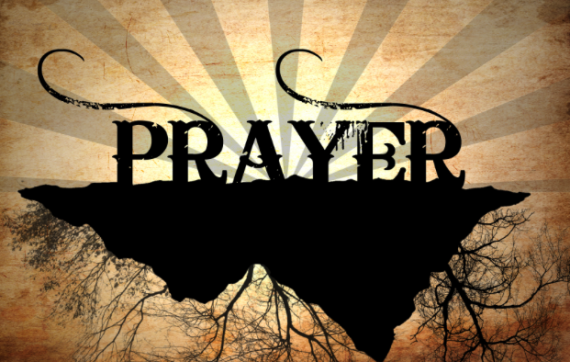 However, while a correct posture for prayer is not mentioned in Scripture, to whom we pray is. Some people pray to Jesus. I’ve heard some people pray to the Holy Spirit. These are not necessarily incorrect ways of praying. God still hears them and there are certain prayers and requests we can direct to each member of the Trinity. But the usual and normal Scriptural method, as seen in all of Christ’s prayers and all of Peter’s prayers and all of Paul’s prayers – including this one here – is to pray to God the Father, through Jesus Christ (which is why many of us say, “In Jesus Name”), and in the Holy Spirit. What does that mean? We know we all originate from God. He created us. But what is the whole family in heaven and earth? Also, what are we named, and how are we named from the Father? Let’s deal with those questions one at a time. First, what is the whole family in heaven and earth? From context, we have a several possibilities. But I think Paul is trying to be inclusive as possible. He has already talked about how Jews and Gentiles are to be one in Christ – to have fellowship with each other (Ephesians 2:11-22). He has mentioned how we are saints together with the saints in heaven (Ephesians 1:1; 2:19). He has even talked about how, as the culmination of God’s plan for the universe, the church is teaching the angels and demons something about His wisdom (Ephesians 3:10). So when Paul says, the whole family in heaven and earth, I think He means everything God has created – angels, demons, the dead, those still living, Christians and non-Christians, Jews and Gentiles – EVERYONE! God is the source and origin of us all, and therefore, He is the Father of us all. That does not mean all are going to heaven. This does not mean that everyone has eternal life. The second question from this verse comes from that word named. What is our name, and how does it come from the Father? The answer to this is much more easily seen in the Greek. Paul has just said that we are a family. In Greek, the word for family is patria. And it means family, or descendants, or lineage. It is what Paul has been talking about throughout his letter so far – how in Christ we are a unified family. That is our name. We are a family, a patria. But Paul says we are named after the Father. How is this? Well, in Greek, the word for Father is pater. We are a patria, family, named after the pater, Father. Scripture often calls us the children of God (1 John 3:1-2; John 1:11-12). We are part of God’s family. So from verses 14 and 15, Paul is praying to the Father for the family God. And as we will see, he prays for three things (as seen by the three hina clauses). Paul makes three requests. Three petitions. In this study, we only have time for the first, found in Ephesians 3:16-17. That He would grant you, according to the riches of His glory, to be strengthened with power through His Spirit in the inner man, Christ dwelling in your hearts through faith, being rooted and grounded in love. This is Paul’s second prayer in this letter to the Ephesians. It is interesting that in both prayers, he prays for power. The first time is in 1:19. Here is the second time. Paul prays that his readers would be strengthened with power. And in verses 16 and 17, he says that this will happen in four ways. He tells us where the power comes from (from God), how the power is used (by the Spirit), who directs the use of this power (Christ), and what the power is to be used for (love for the church). This is a prayer for God enabled, Spirit empowered, Christ directed, Church focused power. Let’s look at each in turn. The first thing is this power is provided by God. He says that it is according to the riches of His glory. This power comes from the riches of God’s glory. The word according means “in proportion to.” Paul is not praying here for a small portion of God’s power, but power in proportion to the riches of God’s glory. But How great is God’s glory? It is vast! So also, is the power that Paul wants us to have from God. If I am a billionaire and I give you 10 dollars, that is “out of” my riches. But if I give you 100 million dollars now, and if you spend that, give you whatever you need later, that is in “proportion” to my riches. This is not a perfect illustration because a billion dollars in limited whereas God’s riches are not, but you get the idea. God gives us power in direct proportion to the riches of His glory. The source of the power then is God. This power is provided by God. The use of the power is by the Spirit in the inner man. The Spirit empowers us to use this power. Remember Acts 1:8? “But you shall receive power when the Holy Spirit comes upon you…” This strengthening that he does, however, is not outward strength. He’s not going to make us strong like Samson or Arnold Schwarzenegger. No, this strengthening is not for the outward man, but for the inner man – our innermost being (cf. 2 Cor. 4:16 for the contrast). Scripture tells us that our inner man can see (Ps. 119:18), hear (Mt. 13:9), taste (Ps. 34:8), feel, (Acts 17:27), and must be exercised (1 Tim. 4:7-8), cleansed (Ps. 51:7), washed (Eph. 5:26), fed daily (Mt. 4:4, Ex. 16:15ff), and renewed (2 Cor. 4:16). The inner man for the Christian, is more real than this outer physical shell which we pay so much attention to. We would all be better off if we spent more time caring for our inner man. 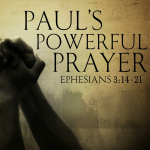 And in order to help us with that, Paul prays for God’s power. You could call this steroids of the spirit. This strengthening comes from the Spirit and is for our spirit. The purpose of this power is to strengthen our Spirit. Why do we need this kind of strengthening? Why do we need this power from God? Well, there are many times in life when things just get too hard, and you don’t feel like pressing on. That’s when you need God’s power in your spirit helping you. Actually, we should be relying on His power all the time…but to our shame, we tend to use it only when our batteries die and we need a jump. The truth is, our batteries would never die if we used the power of God, and our spiritual gas tanks would never go empty either. The power of God is to help us get through life. 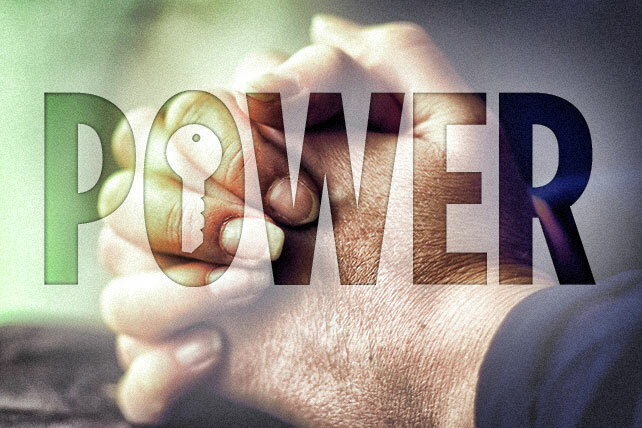 Ephesians 3:17 explains how this power is to be used. It comes from God, we are able to use it by the Spirit, but Christ is the one who directs us how and where to use it. It is Christ directed. Ephesians 3:17. Christ [dwelling] in your hearts through faith. The word dwell is katoikeo, and means to “settle down, be at ease, to be comfortable.” For some of you men, a dwelling place for you is having a lazy boy, a bag a chips, a soda and the remote. That is where you are most comfortable, where you can settle down – and sometimes, as this verse also says – take root. Sometimes your wives wonder if you are ever going to get up. They might even start dusting you. But you’re comfortable, right? For some women, a dwelling place is where everything is in order, the floors are clean, the dishes are washed, the clothes are folded, all the bills are paid and the garbage is taken out. When those things are all done, they are at ease. But there are times for some women when they are at home and are not comfortable. My wife gets worn out by messes. It’s not that she gets worn out cleaning them up. She gets frazzled when the house is in disarray. For some people, when there is strife, and worry, and debt, and anger and bitterness, and distrust, the house is uncomfortable. When the house is not clean or the kids are unruly. So also are there times when Jesus is not at ease in our lives. When He is not comfortable dwelling with us. When we are living in sin. When we are disobedient. When we rebel. When we don’t pray. When we don’t read our Bibles. When we fail to attend church and fellowship with other Christians. When we are judgmental and critical. Did you know it was possible to be a Christian and not to have Christ dwelling in your heart? This verse implies that it is. Christ can only dwell in your heart as we submit to the effective working of the power of the Holy Spirit in our lives to remove sin and disobedience. We need to live in such a way so that Christ is not ill at ease in living with us. If you want more on this, read the book of 1 John. This is what the book is all about. How to have Christ fellowship, and abide and remain and dwell in your life. There is a difference between being in Christ and abiding or remaining in Christ. But that’s the subject for a different study. These are cute, but is that what this verse is really saying? That Jesus lives in the blood pumping muscle of our bodies? No. Again, Paul is using an idiom here – a special way of saying something. The heart is the symbol of the life, your being. Who you are. What you do. It is used to describe the intangibles of what it means to be human. It is our personality. According to Scripture, this is the source of our emotions and will. The heart is who you are and what you do. Christ wants to dwell in your heart. In other words, to be at ease in your life. He wants to be at home there. He wants to know that the roof will leak on him when he sits on your couch. He wants to know that all the rooms have been vacuumed and dusted. He wants to know that the garbage has been taken out. He wants to know that there is not mold in the walls, or mildew in the shower. He wants to know that the foundation is not crumbling. Your life is like a house, which Christ wants to dwell comfortably in. He knows it’s not perfect, that there are flaws and things that need fixing. But He is the master carpenter and he knows a master plumber and a master electrician. And guess what, if you are willing, the Three of Them will refinish your entire house for free. They will make your crumbling shack into a sparkling mansion – so that Christ can comfortably dwell in it. And when He is dwelling in your heart, when he is in control of your innermost being, He directs you to live the way He lived. He used the power God provided, which is enabled by the Holy Spirit, to live the Christ-like life. God enables. The Holy Spirit empowers. Christ directs. And in the last part of verse 17, Paul tells us what this God directed, Spirit empowered, Christ directed life will look like. We will live a life of love for other people – especially those in the church. This power is focused on love for the church. Paul has spent two chapters talking about how Jews and Gentiles are now one in Christ, and how they are to get along now. For some, this might seem like an impossible task. Some Gentiles would be thinking, “You mean I have to love that annoying Jewish neighbor of mine? There’s no way! He’s always judging me by his standards of living and acting “holier than thou.” I can’t love him. I can’t fellowship with him. Just like a tree needs to have good roots, and a house needs to have good ground. Remember the story of the wise and foolish builder in Matthew 7? Architects all know the value of a good foundation. If you have ever notice large buildings, it seems like they spend the most time on their foundation. One architect has said, “If you don’t go deep, you can’t go high.” That’s true of our spiritual life as well. What are you grounded upon? Jesus wants to root and ground your life on what will last. On what is eternal. On what will not fade away, and will not be destroyed. He wants to do this because He loves you. He’s not out to ruin your fun, or destroy your life, and take away your joy. He wants to give you more of all of these things – if you will only let him. Christians should be the most fun-loving and joyous people on the planet, because not only do we have a bright future, we’ve got a great present as well. God, with his mighty power, out of the riches of His glory, wants to remake your inner man through the help of the Holy Spirit so that Christ can dwell comfortably and in style in your life, so that you will have love for other Christians. That is Paul’s first prayer request. It’s a big one, isn’t it? Are there Christians you have trouble loving? God has given you the power, the Spirit is enabling you to use it, and Christ is directing you where, when and how to use it. Together, all three of them want you to love those who you normally would hate. The power of God helps us love the unlovable. You know that person in church you find mighty hard to love? Come to God the Father this week and ask Him to help you love that person. “Jes’ call ‘im Fether, an’ ask ‘im fer somethin'”? Ask Him to help you love the unlovable. That’s a seemingly impossible prayer request. But it is what we can pray with boldness, because Scripture is full of commands to love one another as God in Christ has loved us. You can pray that God will help you love the unlovable, and know with confidence that your prayer will be answered.